I love decorating around the house using natural elements… especially in the Fall. It is a surefire way to change the whole vibe of your space with minimal effort. There is so much more you can do to get ready for fall than adding an old tired wreath of fake orange and red leaves. I have been saving so many photos of pretty flowers lately, I just wanted to share a few that I find inspiring. 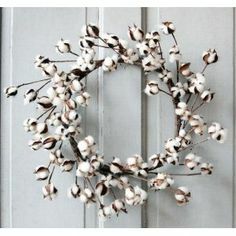 I love the idea of a wreath made out of cotton bolls. I found this photo on Pinterest. This is just so pretty and not too overdone. 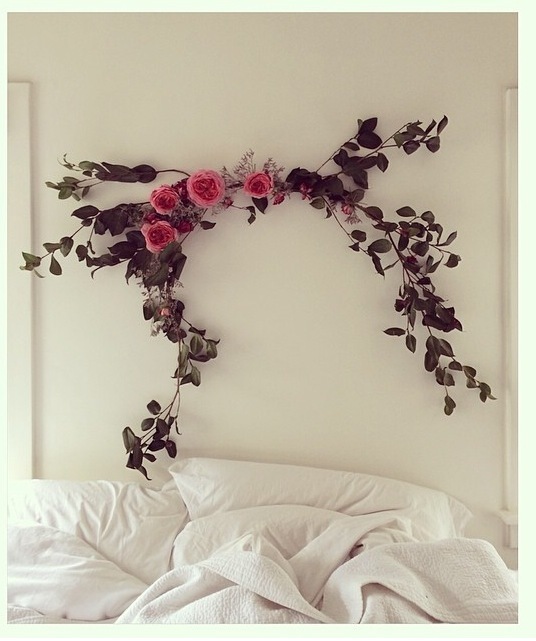 I love the idea of fresh flowers above the bed. Unfortunately, I did not save who posted this photo, so if you know, let me know so I can give them credit! 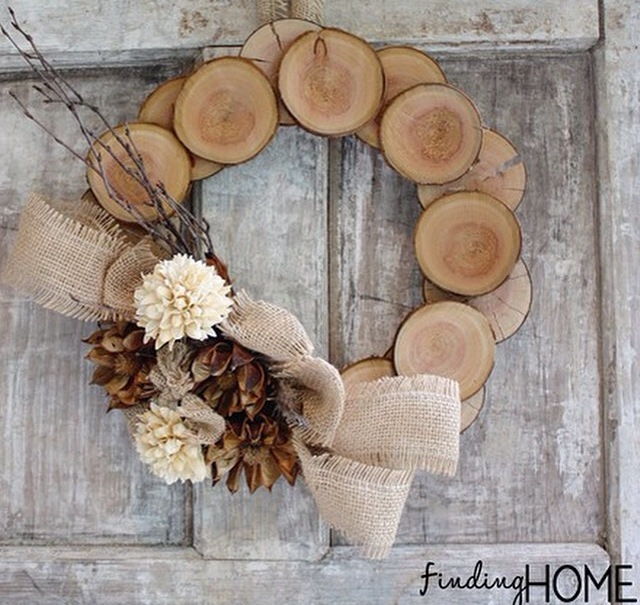 I am obsessed with this wreath from “Finding Home.” You can find Laura’s tutorial here. 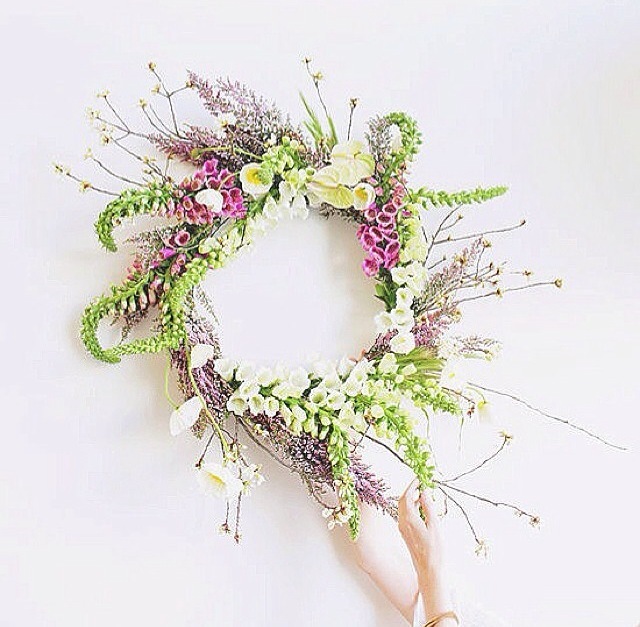 I love this wreath that I found from @mooncanyon on Instagram. 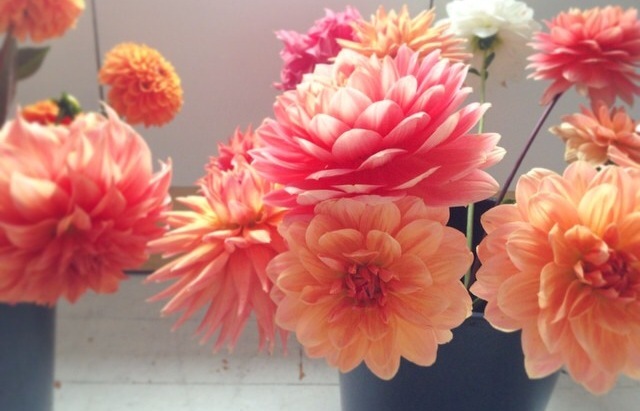 This photo of dahlias in a prep bucket from @hedgerow on Instagram is magical. Their arrangements are also magical. I hope you’ve enjoyed checking out my inspirations for Fall decor! Don’t forget to check me out on Instagram @Chair_candy to see all the awesome chairs I find!